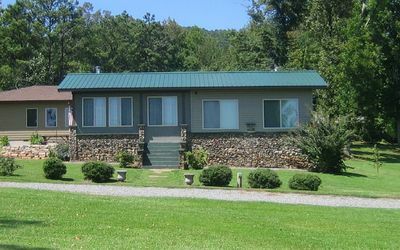 Baker House is a beautiful cabin conveniently located mid way between Guntersville and Scottsboro. 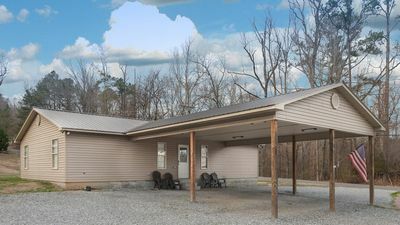 It sits directly across the street from Lake Guntersville and offers beautiful views of the lake and surrounding hills. 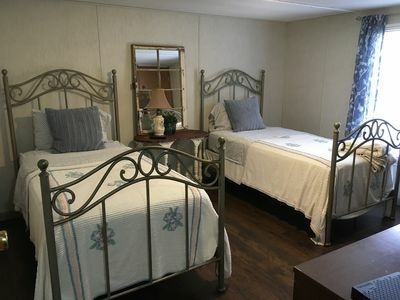 As you enter the cabin, you'll get a very strong unlimited free WIFI signal and find the large multi-use room which serves as the second bedroom. 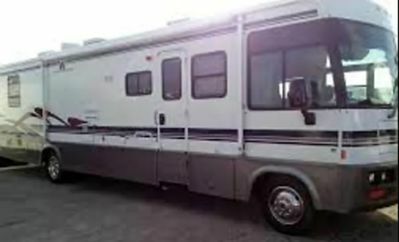 Here you'll find 2 twin beds, a comfy leather sofa, 2 recliners and a 48" HDTV powered by DirecTV. Exiting this room, you enter the open concept dining and kitchen area which seats up to six with a dining table and chairs plus casual seating at the counter top bar. 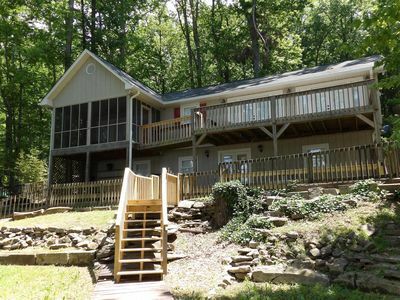 Off to the side sits the conveniently located half bath. - Cookware, dishes, cups, mugs, utensils, etc. Moving through the hallway you pass the laundry room which contains a full sized washer and dryer plus detergent, dryer sheets, etc. 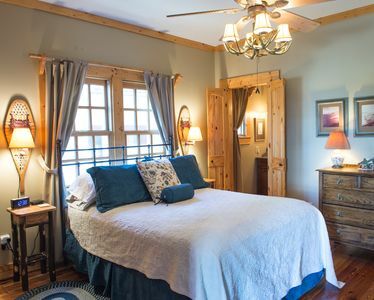 The spacious master bedroom is next where you'll find plenty of fresh towels and clean sheets on the queen and full sized beds. The full bath with tiled shower is an located in the master as well. 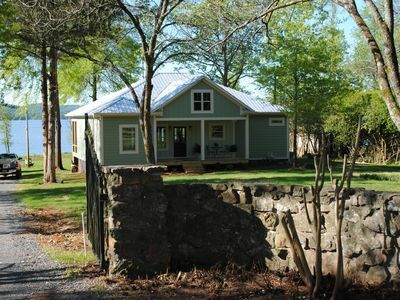 Baker House has a very interesting Civil War history - ask us about it! 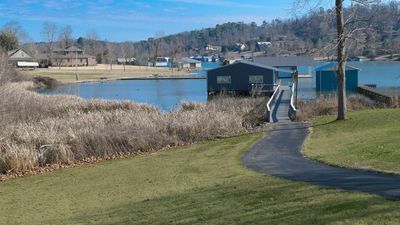 The Waterfront boat ramp is just a couple of hundred yards to our south with most other lake Guntersville boat ramps located just minutes away. 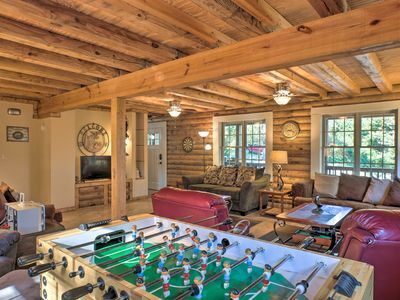 Baker House is one of 4 cabins that sit on 2 beautiful acres with multiple access points making it easy to enter/exit the property. 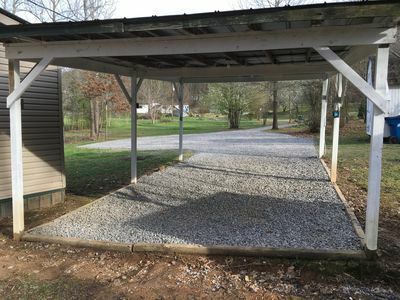 Every cabin has covered parking with power to charge batteries for at least 2 boats with plenty of additional parking available. D&E Landing can meet your needs whether you have 2 or 32 in your group! 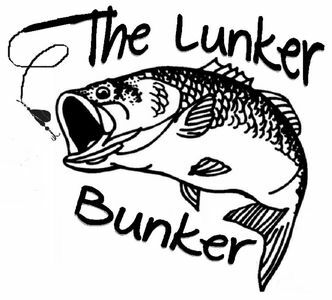 Lake Guntersville is a fantastic place to fish or just relax for a few days, a week or more. David & Edna own and operate every aspect of the property including doing all the cleaning ourselves. 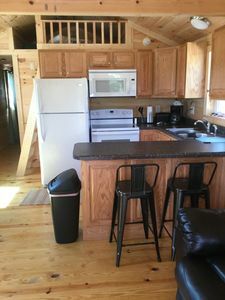 You will not find cleaner lodging at the lake! 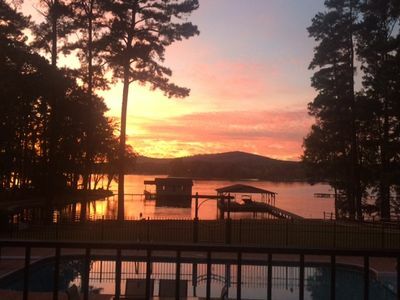 Come stay with us and explore all that North East Alabama has to offer. On The Lake at South Sauty! 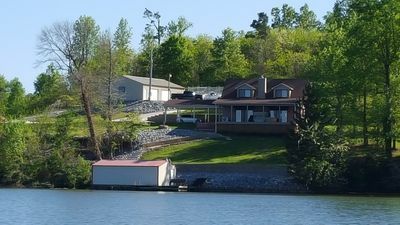 Scottsboro Waterfront Estate Home - Guntersville Lake - Fishing or Family Fun! 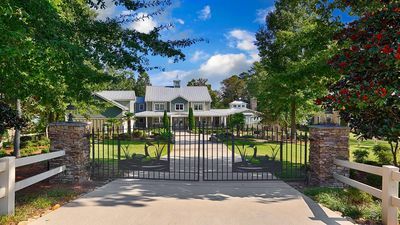 Waterfront ~ Comfort Inside & Out! 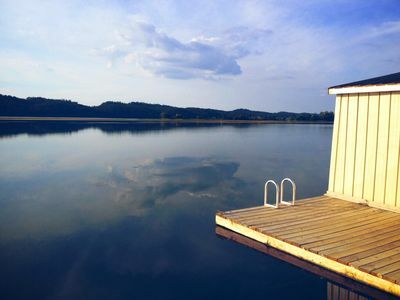 ~ 2 Slip Boathouse ~ WIFI ~ Pets Welcome! 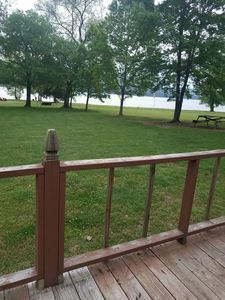 Lakeside Loft-Waterfront Lodging on Beautiful Lake Guntersville! 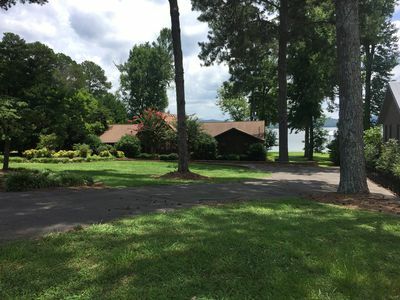 Main Channel Lake Guntersville waterfront home with beautiful view & deep water. 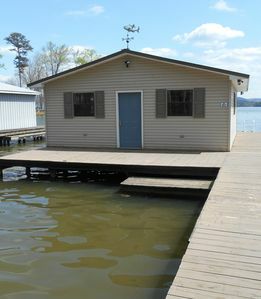 3br/2ba house on Lake Guntersville with beautiful view. A vacation should feel like a resort. Resort-Style Living at it's Best! 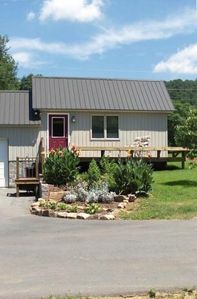 I'm Hooked ~ Main Channel Waterfront ~ Screened Porch ~ Boathouse ~ WIFI ~ Pets! NEW! 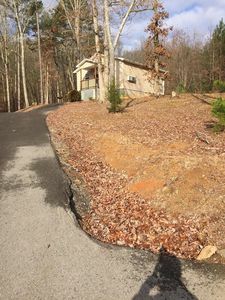 Scottsboro Cabin w/Ample Parking & Fire Pit!